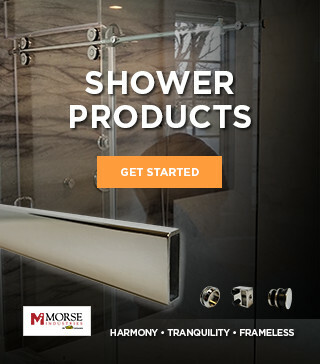 In 2017, Morse Industries celebrates its 35th year specializing in providing industry professionals with top-quality products like glass railings, stainless steel railings and fittings, shower enclosures and hardware, architectural extrusions, slide track systems, stainless steel and aluminum tubing, marine rub rail and canvas fittings. We also work with our customers to provide custom solutions for their aluminum and vinyl extrusion needs as well as meeting their demand for custom castings or machined parts in aluminum and stainless steel. 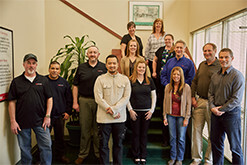 However, the most important product we provide is our customer service. Our goal is to give you the highest quality and superior value in the products you're looking for while supporting you with the best customer service in the business. Our customer-centric culture means Morse Industries wholesales a diverse array of products to meet the needs of our customers in the architectural, fixture, manufacturing, and marine industries. Whether you're starting a new project or looking for new solutions to an existing project, our products - both stock and customized - provide solutions that are enhanced by the skills of our highly-trained employees who consult with you to ensure that your needs are met. Morse Industries was founded in 1982 after Leon Morse discovered increasing metal product demands from Western U.S. and Canadian manufacturers and fabricators. He recruited his sons and began conducting business out of a small warehouse in Kent, Washington. The brothers formed the core of the company: managing every aspect of the business until their first employees were hired eighteen months later. From the outset, the Morse family grew their company by developing and maintaining close, personal relationships with customers. Leon recognized the importance of providing product and industry knowledge with a wide variety of products delivered quickly and as promised. Today, Morse Industries continues this tradition with knowledgeable staff available to consult one-on-one with customers while providing products on a timely basis. We have three facilities as well as an international distribution system so that we can successfully provide solutions to manufacturers across North America, Europe and along the Pacific Rim. 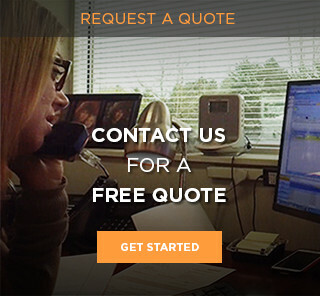 Call Morse Industries to help you with your next project.